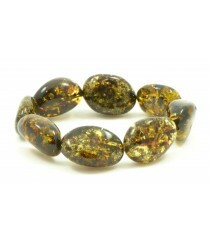 Product ID: W123; Short Description: Multicolor Olive (bean) Amber Bracelet made with Flexible Band; Weight: ~14-16 g; Length: Can fit various sizes; Color: Multi. 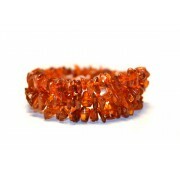 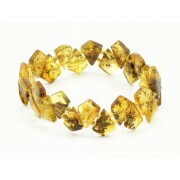 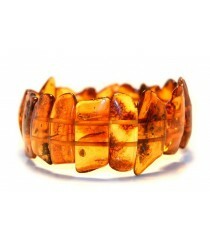 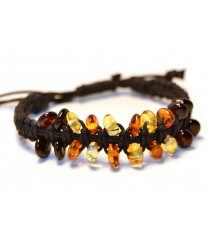 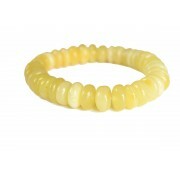 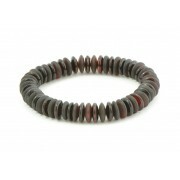 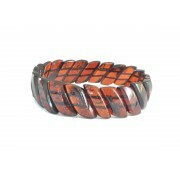 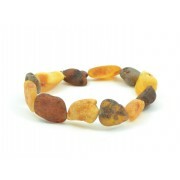 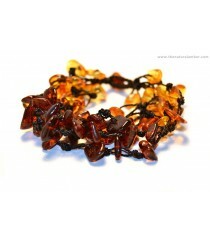 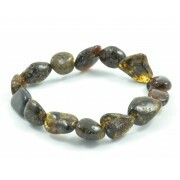 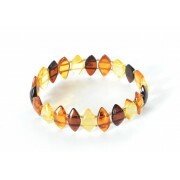 Product ID: W125; Short Description: Bracelet with Rubber Band made of Faceted Amber. 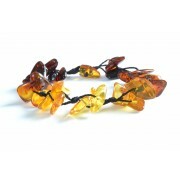 It can be also worn as hair accessory too; Color: 2 Different Colors are Available - Light Green and Cherry; Weight: ~20 grams; Amber: Faceted; Size of Amber Flower: ~6 cm (2,4 inches). 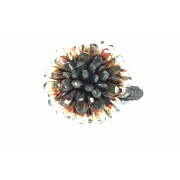 W125-1 Green; W125-2 Light Cherry. 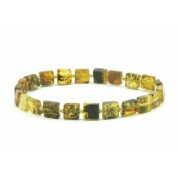 Product ID: W127; Short Description: Amber Adult Bracelet on 2 Elastic Bands, Light Green Color; Amber: Polished; Color: Light Green; Bracelet Height: ~2 cm (0.8 inches); Length: ~21 cm (8 inches); Average Weight: ~21 grams. 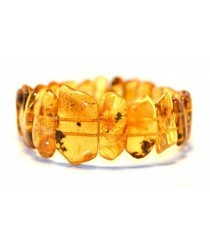 Product ID: W128; Short Description: Spiral Raw Amber Bracelet; Length: Can fit various sizes; Design of each bracelet might be a bit different since each time unique Amber stones are being used. 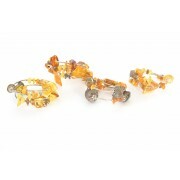 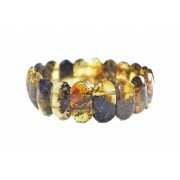 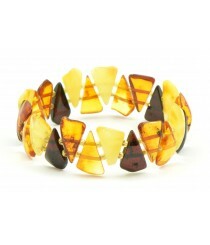 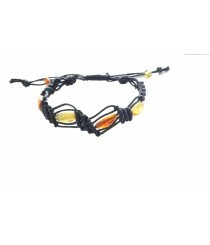 Product ID: W135; Short Description: Multicolor Amber Bracelet; Lenght: 18-21 cm (7-8 inches); Weight: ~4.5 g Color: Multi. 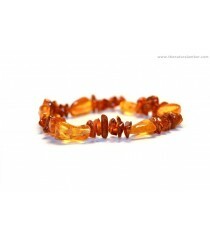 Product ID: W136; Short Description: Special Design Amber Bracelet; Lenght: 18-20 cm (7-8 inches); Weight: ~7 g; Size of Beads: ~7-8 mm; White color in beads of this bracelet - plastic and small pieces - genuine Baltic Amber. 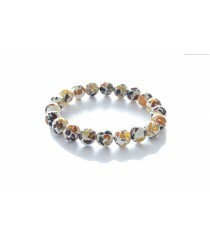 Product ID: W139; Short Description: Polished Amber Bracelet on Elastic Band, Milky / Butter Color; Bracelet Length: ~20 cm (8 inches); Bracelet Weight: ~14 grams; Color: Milky / Butter; Amber Beads: Polished. 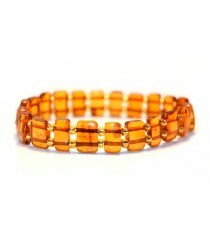 Product ID: W141; Short Description: 3 Colors Amber Adult Bracelets for Adults; Length: ~20 cm (8 inches); Weight: ~13 g; Bracelet Height: ~17 mm; Colors: W141-1 Cognac; W141-2 Cherry; W141-3 Multi color; This bracelet match well with Cherry Amber Necklace (N237).